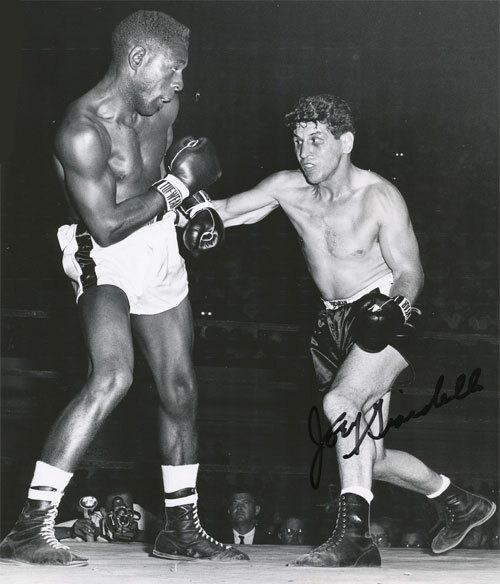 In 1962, Joey Giardello was still in the hunt for the middleweight title. His 1960 challenge of champ Gene Fullmer ended in a controversial draw, and he was back at it trying to eliminate every other middleweight in the division. 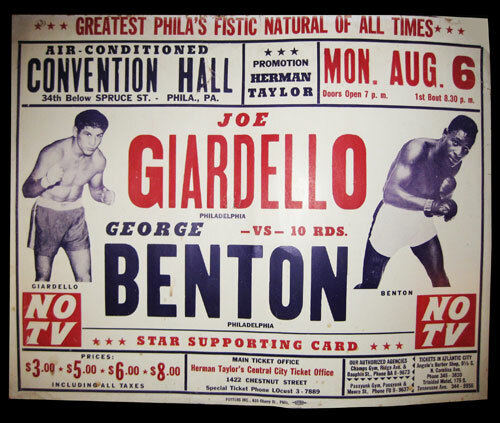 When Giardello, the #2 ranked middleweight in the world, faced North Philly defensive master George Benton, the #9 middleweight in the world, Joey was 32 years old and already had nearly 120 bouts under his belt. Benton, three years younger and a veteran of 52 fights himself, was every bit as avoided as Giardello. 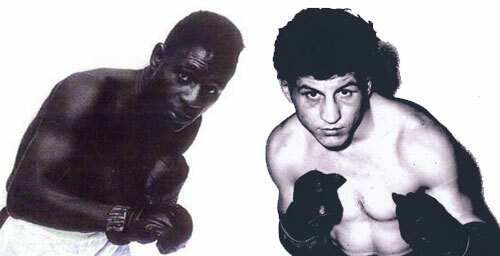 Both boxers were considered more trouble than they were worth, and just too risky for a title opportunity. Both were more than deserving for a big opportunity, but they were losing hope of ever getting one. So, they fought each other. Giardello was the favorite going in. After all, he had faced practically every 160-pounder in the business and was considered long overdue for to become champion. Although respected, Benton entered the ring with a reputation for being unable to win big fights. So many thought he’d blow this one as well. 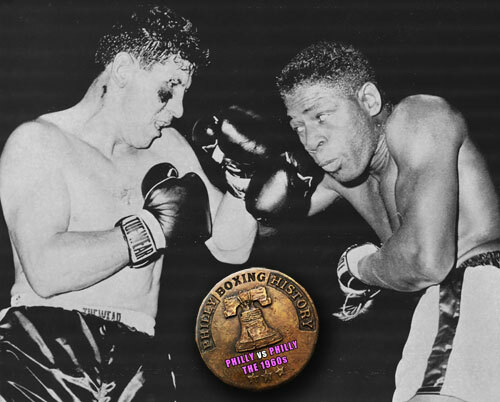 Their Convention Hall ten-rounder before 9,449 fans, was a clash between two of the smartest boxers in Philly history, and their fight was a timeless masterpiece. More chess match than brawl, Joey and Georgie fought a closely – and carefully – waged battle. Giardello was more aggressive, but Benton had all the defensive moves, angles, and counter punches needed to lead him to a close, upset victory. 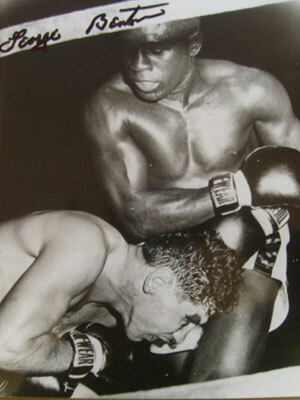 Still, Benton, considered almost unreachable throughout his career, was hit more than in any of his previous fights. The bout see-sawed between the two. Giardello won the first round, and Benton rebounded to take the second. Back and forth they went, with neither man piling up many rounds before dropping one to the other. There were no knockdowns and no major cuts, just smart and consistent boxing. No known film exists of the fight, but what a master class it would be to view. This classic occurred just two months after I was born, so I wasn’t able to make the fight. However, if a time machine is ever truly invented, I would set the dial for “1962 - Philadelphia Convention Hall”. After ten high quality rounds, Benton took the decision on all three official’s scorecards. It was the biggest win of his career and proved that he was capable of winning the big one. Not only did they fight better in the old days, they handled themselves with more class. Both boxers would fight on. Giardello finally won the world title sixteen months later, and forever cemented his legacy. Benton fought for another eight years, but never received his chance at a title. “The Professor” would have to earn his ticket to the International Boxing Hall of Fame as one of the greatest trainers of all time.